Barcelona NightCard - Your Passport To The City`s Best Nightclubs! Coming to Barcelona and want to get jiggy wit it? Many tourists arrive prepared with maps, books and other guides to help them understand and take in the city's monuments, museums, and landmarks. But what happens when the sun goes down and you get the itch to get your groove on? Look no further, Barcelona NightCard is your passport to the city´s best nightclubs, and its easy to find, buy, and easier to use. 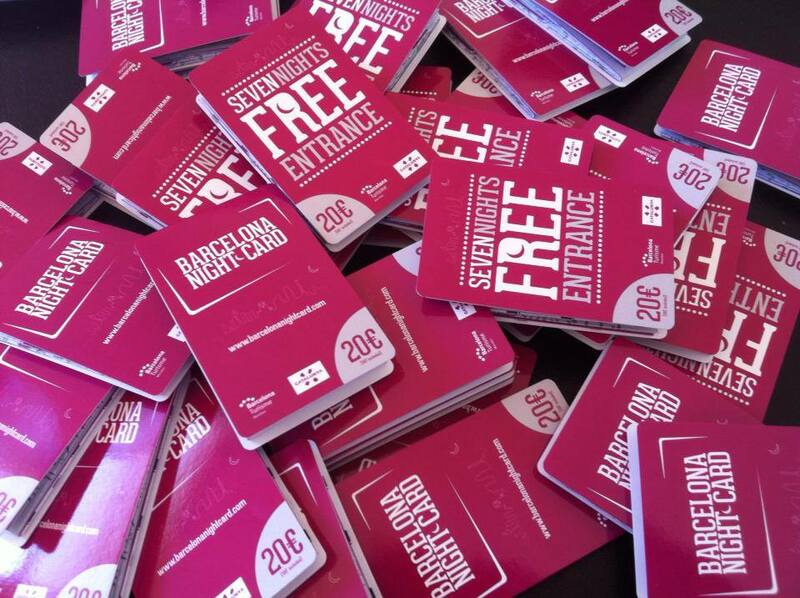 Here's the scoop: The Barcelona Nightcard is the first of its kind, being the first card associated with the nightlife industry that has the support of government institutions in Cataluña. Furthermore, it is the first card that unifies the most prominent nightclubs of Barcelona, offering the guarantee of quality of each local. With this card, which costs 20€, you can access a selection of 19 clubs in Barcelona for free for 7 days, without having to wait in queues and having access to VIP areas at certain establishments. This initiative is born with the desire to professionalize the sector, integrating the most relevant establishments and ensuring the quality of each one. The main objective is to promote the respectable image of the city’s nightlife at an international level, and in doing so, positioning itself at a global level as a city that offers quality tourism and entertainment. Government institutions, through their websites bcnshop.com and www.act.cat will be the official sales channels of the Barcelona NightCard, in addition to the main tourism offices in the city, hotels, hostels, bike and scooter rental shops, as well as other tourist information points that are listed on their website.